50 Snacks That Are 100 Calories or Less #Infographic ~ Visualistan '+g+"
To lose weight, you need to consume less calories than you expend over time. A whole pound equals 3500 calories, so eating at a 1000 calorie deficit each day should lead to a 2 pound weight loss weekly. A severe deficit like this is possible, but it may be unsustainable over time. There are many resources online that can help you calculate the ideal amount of calories to eat daily for you. This infographic from TitleMax.com is an excellent resource for helping you adhere to your daily calorie limit while still enjoying the flavors you enjoy. 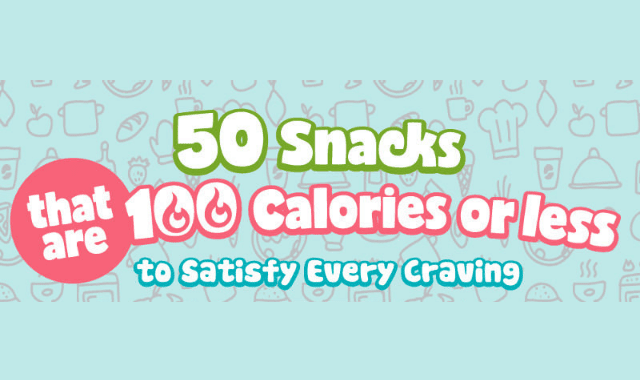 You can squeeze a few of these 100 calorie snacks into your daily budget to stay satisfied and happy. If you are craving something sweet, try peanut butter yogurt. If you are craving chocolate, try chocolate dipped banana slices. If you are craving something salty, try popcorn sprinkled with garlic salt or sriracha.